One of the reasons for the explosive growth of social media in the last few years is that it provided the opportunity to share, to network, to converse with real people using their real picture and real name. If you think of the predecessors of social media like Yahoo message boards, news commenting sections and before that USENET newsgroups, they often devolved into a hodge podge of spam, racist and sexist vitriol and various other forms of stupidity and unpleasantness. No one was accountable for what they said because they hid behind a generally unidentifiable user name. Social media changed all that. You could see and identify your friends, your family, your business associates. But as the social networks user base stretched into the millions we started to see profiles like these “zombie blondes.” These “girls” all had the same interests, the same favorite sport, they each put up three photos and “friended” each other. No one knows who was behind the zombie blondes but it is suspected that if you accepted their friend request they would consummate that friendship by dropping by (virtually of course) with a little malware. To misrepresent someone’s influence, a Web site’s reach or user reviews of books, movies or businesses. But there are also some pretty compelling reasons to use hidden identities. This story, She Tweeted Against the Mexican Cartels. They Tweeted Her Murder , appeared in the Daily Beast recently. It is about a woman in the Mexican state of Tamaulipas who adopted the name Feline and used cat woman as an avatar and who used social media to expose information about the drug cartels that no journalist would print. She sent alerts warning people of locations of violent incidents. She had half a million followers on Facebook and more than 100,000 on Twitter. Eventually her identity was discovered and she was murdered. Or it might be something as simple as a person who uses a slightly changed named in order throw off a prying employer or relative. Or suppose you happen to be known as Jay-Z or Lady Gaga. The major social media networks are in something of a quandary about how to deal with this. Facebook, LinkedIn, Twitter and Google+ have all taken different approaches. I don’t think any of them have found the solution. Earlier this month Chief Product Officer Chris Cox elaborated: “Our policy has never been to require everyone on Facebook to use their legal name. The spirit of our policy is that everyone uses the authentic name they use in real life.” Does that clarify things? Cox’s comments were in response to a furor that Facebook created, mostly in San Francisco, when they deleted the accounts of drag queens because they weren’t using their real names. That is only one of a series of gaffes Facebook has been drawn into as it has attempted to crack down on fake profiles. In an SEC filing in 2012 Facebook estimated that 8.7% of its accounts were duplicates or false accounts. At the time that amounted to 83 million Facebook members. That was a problem for Wall Street. If Facebook doesn’t have real information about real people what does that do to its ability to target ads? What does that do to its ability to expand its business based on its database of users? So as a public company Facebook has stepped up its efforts to clean up its user database. They claim to investigate any user reported irregularities. But really, Facebook has one employee for every 239,000 members. One victim of Facebook’s campaign for authenticity was Salomon Rushdie. Apparently the first name on Rushdie’s passport is Ahmed, a name he never uses. Facebook deleted his account. That is until Rushdie let everyone know about it on Twitter. More recently Facebook has gone after the DEA (Facebook Demands DEA Stop Using Fake Profile Pages in Investigations). This came about after a New York woman who had a cocaine conviction sued the DEA because they used her photo and personal data from her phone to create a Facebook account that they used to get her associates to disclose information. I don’t really think Facebook knows what direction to turn. Just recently they launched an app called Rooms that accommodates anonymous users. So while Facebook is trying to enforce its real identity policy, it doesn’t want to lose touch with those who want to hide behind a pseudonym. In my next post I’ll look at how Google, Twitter and Linked In are dealing with their identity conundrum. This entry was posted in Digital Deception and tagged Digital Deception, Facebook, fake profiles, social media. Bookmark the permalink. It’s quite scary how the woman called “Feline” who helped to expose the Mexican drug cartels was caught out like that. It seems even virtual anonymity can easily be unravelled. Great Post- I think like everything there are pros and cons for anonymity. Hmm… I think this is a problem that I won’t spend any time worrying about. I know that these things happen and it’s interesting to hear about but I just can’t think of any good solutions to offer. It will be interesting to see what else you have to tell us about the other platforms. I’m not a facebook user and don’t intent to ever become one. But I find our information interesting. I just thought using your real identity was a given, I never considered the reasons why people wouldn’t be comfortable or safe doing so. I can certainly understand facebook’s problem though – it’s something like trying to please all of the people all of the time – it can’t be done. I have always bee a proponent of social media sites demanding folks use their real names. But you raise a good point with Feline and her desire to expose the drug cartels. Then we have cops luring pedophiles so they can arrest them. It’s an interesting point Ken. But it’s also a big conundrum! Facebook is a disaster when it comes to getting rid of fake profiles. One guy in Sweden was terrorising two people I know. Thousands of us reported him to Facebook but they did nothing. What eventually put a stop to him was a television program that found him and exposed him. Seems he got scared. Linkedin on the other hand gets rid of fake profiles swiftly. The same applies when someone is using a fake name. They swiftly get told to use their real name or… On Facebook, however, they can easily use fake names. I had pretty much thought the way you did that everyone on social media sites should be using their real name and their real picture. But when I did the research I was surprised at how many legitimate reasons I found to use at least an altered, if not fake, identity. As per Facebook, they have just outgrown their ability to manage the service. That could ultimately be their downfall. I think it will take a court decision against them in a situation like the one you described in Sweden to get their attention. And yes I have been reading your posts. The line in part 2 about LInkedIn having the reputation for being more effective in deleting fake accounts comes straight from your posts and comments. I think the world of social media, we should have both. Places where your identity should be known, and others where you can move about with anonymity. You properly pointed out the pro and cons of both arguments for each. This is a brave new world, and we have yet figured out the rules for it. I can think of many reasons why someone would want to participate in social media but also remain anonymous; other than the reasons you stated Ken. I agree it is a conundrum and as William says it is a world in which the rules have yet to be established. I am not sure what side of the identity / anonymous fence I fall. In a perfect world I would love it if all identities were posted correctly and truthfully but with hundreds of millions of users how can that ever be effectively vetted,..the conundrum. World is full of people and many have different reasons to hide on social media, religious or any other. I believe that someday we will be civilized and will not use the social media to deceive others no matter which name we use. I feel sorry about Feline , who are traced and murdered. I came to know about Facebook Rooms , for the first time and for sure Facebook , is giving room to those who are hiding + this also remind me of Yahoo chat rooms , with no identity and a blind chat. This is definitely good food for thought. How to be a good digital citizen is largely ignored as part of public school curriculum, which is a shame given how prevalent social media is. It’s just one more example of school’s falling short on what to teach. 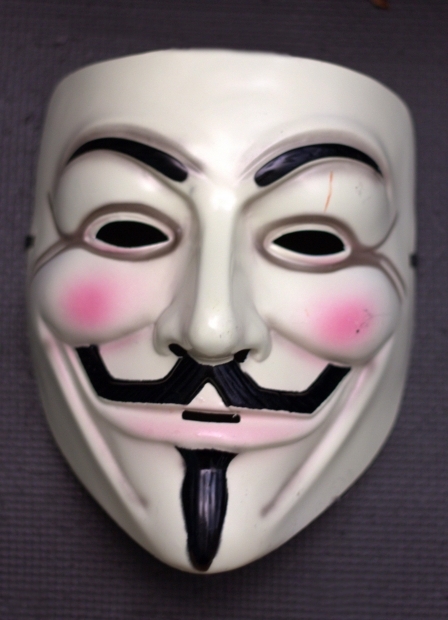 In any case, even anonymous accounts can be hacked if the need arises. Even when we think our info is private, in this day and age almost nothing is private. Interesting information, i guess we all have our own view on this matter. You raise an interesting point. I’m not comfortable with the thought of false or hidden identities on social media, but can appreciate that there are sometime legitimate reasons. Well balanced article about a very tricky subject. Protecting your identity on-line is very difficult if not impossible due to site requirements. This is all very interesting and complicated. I know teens will have two accounts. One their parents know about and one they don’t. 🙂 I also know that many people who are involved in those Facebook game apps will have multiple accounts for game bonuses. That way you have more “friends” to help you with your crops in farmville. Who has time for that? Ken I enjoyed the post as you eloquently educated us on the issue of identity on the social platforms highlighting pros and cons. People generally think fake profiles are on the negative but you have laid out the positives. It can be quite deadly when one operates to expose societal vices. I remember the days of USENET newsgroups and people hiding behind anonymity. As you said, since people weren’t accountable, they often left mean and thoughtless comments. That in itself was often a deterrent to others who would have enjoyed contributing to the conversation but were reluctant to risk falling victim themselves. It’s with that mindset that I’ve embraced the concept of having to logon to a social networking site before tweeting and commenting. However, your story of the woman who hid her identity to protect herself from Mexican drug lords certainly builds a strong case for anonymity. IMHO, Facebook’s decision to target drag queens who were using their stage names was a big gaffe on their part. In that case, they were using their brand not hiding. This is fascinating Ken. It makes my head swim. It’s enough to turn anyone into a conspiracy theorist, but it’s good to be reminded to be cautious when accepting friend requests! I can’t wait to read about G+ because that’s where I see a lot of questionable profiles. That is a really tricky topic to talk about. Anonymity is fine unless you are not misusing it to throw garbage on someone’s face or character. It makes me laugh when i see people fighting or literally abusing each other in comment section of Facebook pages. LOL!